So it’s been a while since my last update: I’ve been colossally busy. Namibia looms closer, and two conferences along with its associate work and socializing, not to mention the fact that three Scots decided to drop in last week, means that I’ve had hardly any time to cram in the odd article or two about hunter-gatherers, but I do feel like I’m getting somewhere, which is nice I suppose. I’m currently in the process of designing/re-applying some social experiments to try out in the field next month, just to see if they work, as my supervisor secured some funding from a US university on the understanding that we help them out with the cognitive anthropology stuff they’re working on. Lots of questions about relationships with nature, and the conception of points of view in hunter-gatherer society. It’s interesting, and has a big literature basis, so I now feel like I’m trying to read everything on earth that was ever written, ever. I hope this works out. On the learning German front, I’ve actually had a couple of breakthroughs. It turns out that before a week after your arrival, you are supposed to go and register with the city of Cologne at your local council office so you can get your papers with the scary eagle stamp on them. Forgive me for finding this absolutely terrifying. I did that only the other week, but the civil servant I spoke to didn’t seem to mind. The main thing I got out of my interaction with her was that civil service offices are the same everywhere. We had a bit of a laugh about dealing with the public, but only after she asked where I was from, I said “Scotland” automatically, and she spent a good ten minutes wondering why my country wasn’t on the system. Whoops. I sheepishly corrected myself and said “Great Britain”. She then thought my passport made a lot more sense. I was on cloud nine all day. And I have my papers. 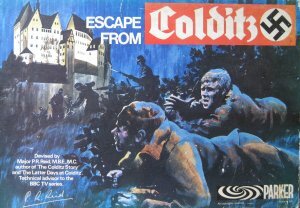 Dad says that this means when we play “Escape from Colditz” at Christmas I now always have to play the German. Because Germans just love a deep and thoughtful depiction of their history. I also went and got a haircut today. This does not sound like much, but is unbelievably nerve-wracking when the only relevant phrase you know is “Can you cut it short, please?”. I was steeling myself for the Evie from V for Vendetta look, however the nice woman cutting my hair decided the best thing to do was to err on the side of caution. As a bonus I got to find out what a professional stylist thinks looks good on me, with almost no input from me. I have mixed feelings about this. It’s not quite as short as I usually would get, and when she put stuff in it she clearly had something of the 1950s on her mind. 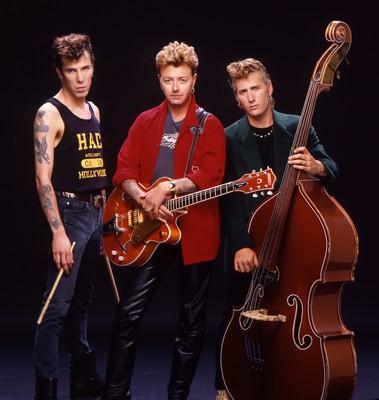 Thankfully with the stuff washed off I do not look like a member of the Stray Cats. So all in all, my German is getting better, and I am eternally grateful for this. There is so much more to learn, but learning your second language is no picnic. Lastly, and with regard to the blog, you may have noticed my decision to put more pictures in my posts. Eventually, there will be more actual pictures of Cologne, however this relies on my owning a camera, which I will before I go away, hopefully. I’ve told the university I need one, so fingers crossed. Academics really do live their lives on expenses. I shall post again before I go to Namibia. There may even be photos of Karneval. More to come. Taking this made me the world’s biggest poser. Between the delightfully old-fashioned swept-back handlebars and the dynamo that would not be out of place in an early 20th Century technology museum, I rather fell in love with this when I saw it among its fellows at the bicycle market in Cologne. I was tipped off about the market; it travels around the city week by week, and is a veritable treasure trove of old bikes in various states of repair and various stages of sale, maintained by people of all ages who really love what they do. An older chap, complete with pungent cigarillo, immediately decided he would sell me a bike that day. He was undeterred by my lack of German, and chattered away happily about his charges while I picked out words to repeat back, nodded, smiled and hoped he wasn’t asking me a question. With the help of a translator, however, he did eventually make the sale. Turns out this one was very special because it had once been his (and if you’ll believe that, I’ve got some great investment opportunities for you with only a small pre-payment). I haggled him down a bit, and then he sold me a lock as well, but only after he tried to get me to upscale to the most massive lock he could find as the one I’d chosen was the “one that housewives choose”. I was not discouraged by this attempt at igniting my latent masculine insecurity, however, as I was reminded of the discerning and valued judgement of the archetypical Hausfrau. Excited, I pedalled off home through the sheets of maliciously-timed drizzle, pausing only to remember halfway up the street that I was supposed to be on the right side of the road. This corrected, I locked up my newest investment in the stairwell and decided I would wait for the rain to stop before exploring. As it turned out, it was not far off sunset by the time I could go out for a ride. As you may have predicted: I got lost. I had some grand plans to cycle from my lodgings in the North to the Rhine, and managed this without issue. The path North looked far more interesting, as I’d not seen it before, and I trundled happily along before deciding a few kilometres later that as I didn’t know Cologne even had a shipyard (It does, and it’s called “Neil”), it was probably time to head home. I managed to get from the river into some identical-looking residential streets. From that point on I managed to see every single identical-looking residential street north of the main ring-road. The centre of Cologne is reasonably easy to navigate, mainly because it takes the form of a spider’s web. You can work out where you are by the long circular roads going round, the many parks, and the straight roads branching out from the Altstadt (old town) in the very middle. Everything outside is, in comparison, a mess. I was lost somewhere in Nippes, which is a lot bigger than I thought it was. Google Maps (partially loaded thanks to the poor reception) thankfully guided me back, and thus I am not cycling around there still. So I now have a bike. This is great, and means I can save money on the trams while getting fitter than I was (not a hard task) simply getting from A to B. 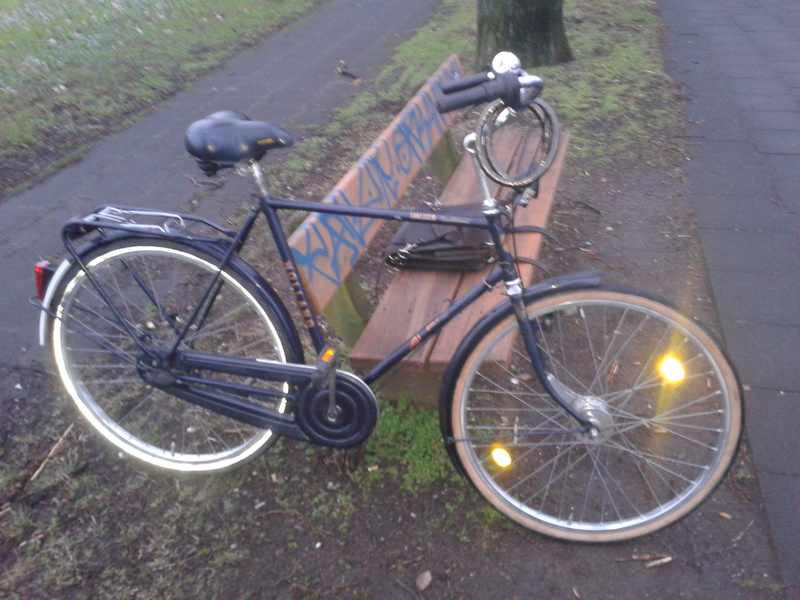 Sure, my legs seem to hurt quite a bit and the back-pedalling to brake has been my undoing at far too many junctions, but these are problems solved with experience. The important thing is that Cologne just got a lot smaller, and more fun to get around in. As a side note, I managed to see the world’s most determined Koelners in the park on the way to university yesterday. It being the second of February and sunny (although cold) was lovely, however I’m not sure I’d call it barbeque weather. It seems they disagreed. Many props to them, mad as they are. Lastly, I am now based in a new flat, with all the moving completed today (it was two trips on the tube. Travelling light is brilliant). My place is now in the district of Ehrenfeld, and my new flatmates don’t speak a huge amount of English, which is nothing but a huge bonus for me. Hopefully Deutsch will be forthcoming. They seem great people, and are willing to teach me. Plus they have an N64 with Mario Kart on it, a language that transcends mere words.